The download starts immediately - literally right when you click on the link or download button. When you're downloading a project the .zip file inherits the name of the project. If a project has a combination of albums and tracks in it, the albums are placed nicely into sub-folders so everything is organized perfectly when it hits your hard drive. 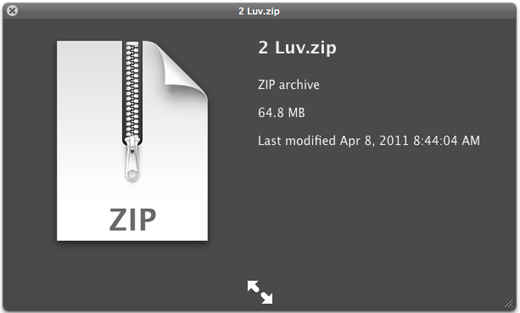 If you download an album the .zip file inherits the album title. NO LIMIT on the number of tracks you can bundle, send or download. We had a cap of 100 tracks prior to this release but that limit has been completely lifted. These things sound simple and logical, and that's why we did it this way. The reality is that dealing with hundreds of megabytes of audio files at a time and delivering them as fast as possible is not as simple as it sounds. We've figured it out though, and it's ready for you and your clients to use. Enjoy!